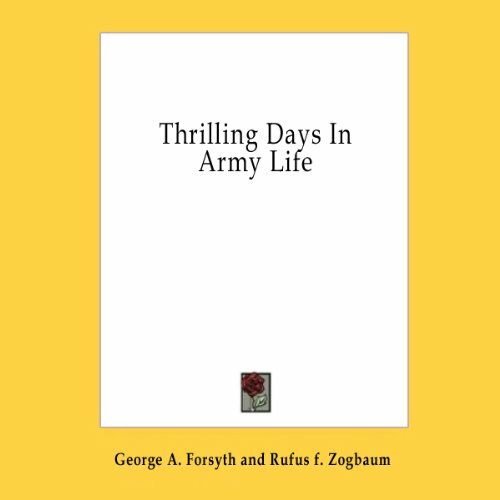 Showing results by author "General George A. Forsyth"
Thrilling Days in Army Life describes encounters between Indians and the frontier army. In 1868, George A. Forsyth led 50 scouts to search out Cheyennes who were raiding Kansas. In this book, he relates the six-day siege that pitted his men against 750 Cheyennes and Sioux in what came to be known as the Battle of Beecher Island.